There are many opportunities for volunteering with RCS. Our volunteers are greatly valued and are vital to the success of our charity and we are always looking for new volunteers to help us maintain and improve the services we provide. 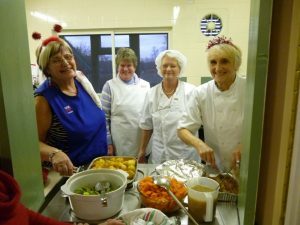 Volunteers at our OPAL Clubs may be drivers, cooks or general helpers, and their role is to help the members to participate in the various activities and ensure they have an enjoyable time. Volunteers with the BreakTime project offer carers of older people some time off from their carer duties ‘to do their own thing’. Volunteers with the GoOnLine service use their computer skills to help older people to get online and enjoy the vast resources of the internet to pursue their personal interests. We are also looking for volunteers to join our new services New Horizons (to introduce people to local clubs and What’s Cooking (to enable people to enjoy food and cooking). So if you would like to become involved in these two new exciting projects, please get in touch. If you have a flair for organising events we would love to hear from you to join our fundraising team, to help us to raise vital funds to continue to provide our services. We also welcome any volunteers with particular skills and interests who can help on a regular or occasional basis with any of our services, for example, craft skills, entertainment, demonstrations and talks. The key characteristics of our volunteers are that they enjoy helping older people, have good inter-personal skills and a sense of humour, and are reliable. Volunteering is about giving your time, energy and skills freely for the benefit of others. 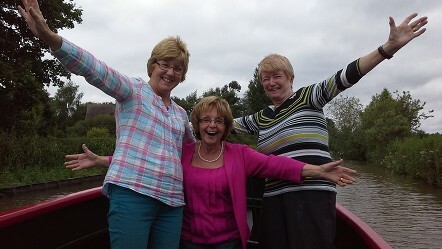 New experiences and interests – volunteering is fun! On 13th April we held a volunteers training day in conjunction with HealthBox. Morning session was on Mental Health First Aid, the afternoon session on the new data protection regulations that come into force in May 2018. Venue: at Castle Suite, Portal Golf Club, Tarporley. 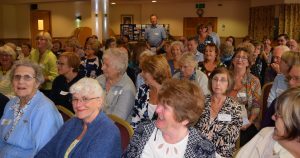 Around 70 volunteers, trustees and staff enjoyed a special Volunteers’ Day on September 28th at Cheshire View, Christleton. There were 3 workshops, lunch and refreshments through the day, and of course lots of fun, conversation and networking. Click on opal-newsletter-Winter-2017 to read the latest Volunteers’ Newsletter.